TJ Maxx is a US based department and retail store chain that is known for its lower prices compared to other similar stores. It is one of the major retail store chains in the United States with more than 1150 stores all over the country. T.J. Maxx, Inc. was founded in 1976 as a regional store but later, it spread to all over the country. It is currently ranked among the largest clothing retailers in the country. The parent company is TJX Companies. The company also has international presence and stores located in Canada, Ireland, UK, Germany, Poland, Austria, Australia, and Netherlands. The current CEO of T J Maxx is Ernie Hermann. Some of the most popular product categories at their store are clothing, footwear, furniture, bedding, domestic items, and giftware. You can also explore their online store tjmaxx.tjx.com to learn about their services, products, and prices. It also offers TJX Rewards Cards that makes shopping more affordable. The head office of the retail store chain is located at 770 Cochituate Road Framingham, MA 01701, United States. The phone contact to get in touch with their support is 508-390-1000. For email, you can use their online form on their website. You can also find the company on all major social media platforms like Facebook, Twitter, Pinterest, and Linkedin. It is not a BBB accredited business but it is still listed as A+ business. Overall, T J Maxx is a well-known and well-recognized retail store in the United States mostly known for its affordable clothing and other related items. mornings AJ; who is always pleasant while waiting on customers, answering the phone (It's a great day at your CampCreek TJ Maxx, how can I help you?) I'm in there so much she now calls me by my name and always say welcome back. I like that makes me feels important and she appreciate my business. She is always busy and never have any help. when she calls for help no one ever come to help. Well I decided to seek a store manager; came upon this young lady name Tracy.... She didn't see me, waiting for to finish talking to one of the workers. 1st I had an issues because they were talking not good about another worker. So I let her know I was standing there and she did this loud and fakeness "how can I help you" I told her the young lady at the register needs some help. she asked me did she call someone? Yes and No one showed up. The line is always long, she is trying to wait on customers and answer the phones. Tracy went to the phone and called people to the service desk, but did not check to see if they showed up. This cashier speaks to everyone and thanks them for their patience; I can't understand why she is so calm and keeps her composer when she doesn't have any help. She can only do so much. You have employees walking around with music coming out of their cell phones. Tracy the manager is one of them. I have gone to Layaway and waited for 30 mins or more for someone to come and when they show up, they act like I'm bothering them. I've walked pass one of your workers who smelled like marijuana. When you are in the store you hear more workers on the floor talking to each other than working. I really think CampCreek needs and over haul. I placed an order online at the TJ Maxx site. When the order arrived today, it had my name and address on the box. When I opened the box, it was all items that I did not order. The invoice inside matched what I had ordered, but not the items. 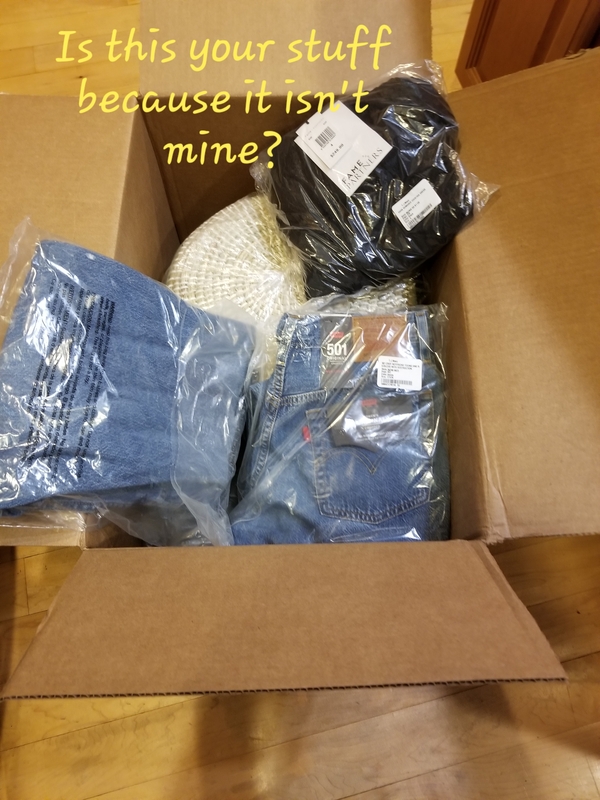 I called TJ Maxx's customer service to report that I had received someone else's order. They told me that I had to box up the items and take them to UPS to be returned. When I inquired about the items that I had already ordered and still wanted, they told me that if I wanted to reorder the items today, I would have to pay for them again and wait to be reimbursed. Why? Why am I being inconvenienced for something I had nothing to do with? The representative had very little concern for my inconvenience. When I told her that I should be compensated in some way for the inconvenience of having to take the package that wasn't mine to a UPS store to be returned, she replied, "Well, I would be happy to give you free shipping on your next order." Umm, no thanks. I will never shop at TJ Maxx online or in their stores again. Thanks for nothing. Have feedback for TJ Maxx?